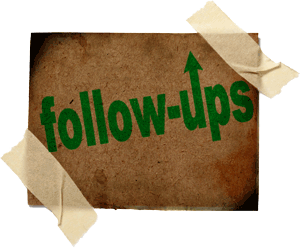 Once in awhile, we like to go back and “follow up” on certain posts we have made in the past to see how issues are being resolved, where they are now, and what is happening. In this day and age of 24 hour a day news spoon fed to us in seven minute segments, we often forget what has been said before. For example, we had mentioned that despite increased costs to all and religious reservations of some, the Institute of Medicine had made recommendations to the Obama administration that health insurers should be required to carry birth control for women without co-payments. Today, President Obama announced that starting in 2013, insurers will have to do just that. So that means if you are a single male, looking to purchase insurance, you must purchase a benefit that you will not use. The bottom line is that insurance companies won’t care about the new regulations. They will just pass the costs to their customers. Pharmacy companies will have a captive market, so they will sell more products. Doctors and therapists will pass on the costs as well. In the end, the people who pay for it are the everyday, average person. Whether they need or want the coverage, they will pay. School administrations in Baltimore, Washington, Philadelphia, Atlanta and the state of Florida have all been rocked, or at least embarrassed by the revelations of students cheating on standardized tests with the aid of teachers. Her students are in 11th grade. In one year they will be out in the real world where failure is not acceptable. The real world doesn’t give a darn about self esteem. The real world – real employers – want results. So while it is great to feel all warm and fuzzy to help kids feel good about themselves, teachers such as this one are abrogating their responsibilities and setting up their students for long term failure down the road. The teacher’s view is short sighted at best. You mean, like actually teaching? What a novel concept that is.